Our homes are built with tornado safety features for your peace of mind. All of us at Home Creations believe stronger homes are safer homes. That's why we build three tornado safety features into ALL of our homes, standard. Read on to find out a bit more about these important features. The name says it all - anchor bolts, also called J bolts due to their shape, anchor the bottom plate of your home to the stem wall. The benefit comes from sinking them eight inches into the concrete of your stem wall, and the J shape locks them in place. Some parts of the country call them hurricane straps, but the benefit is the same anywhere. 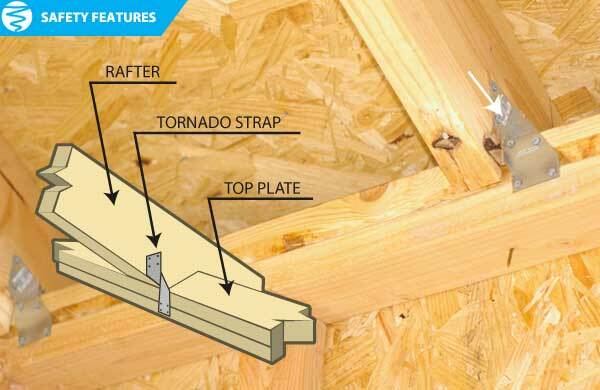 Tornado straps anchor the top plate of the home to the rafters, keeping your roof more secure in high winds. 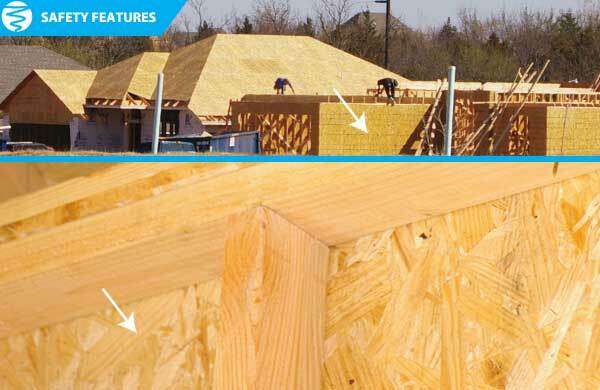 OSB stands for Oriented Strand Board, which is a super strong sheathing that gets its strength from the alternating orientation of the layers of wood that compose it. 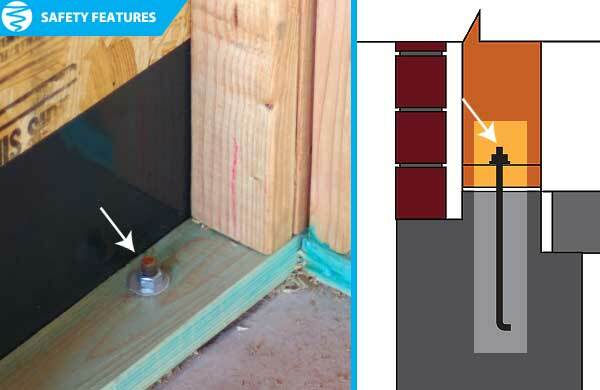 We put OSB rather than flimsy foam board around the entire perimeter of our homes.